We realize it isn't every day that you look to hunt a big gator, so don't hesitate to let us know if you have any questions about booking a trip. You can always call us at (863) 227-0777 or contact us online. At Big ‘O’ Hunts, we're always looking for an excuse to get back outdoors, just like you. On the shores of Lake Okeechobee, Big 'O' Hunts has gained a reputation for its premier guided South Florida Alligator hunts. From Bow Hunting to Bangsticks, Big 'O' can make sure you have the hunt of a lifetime. 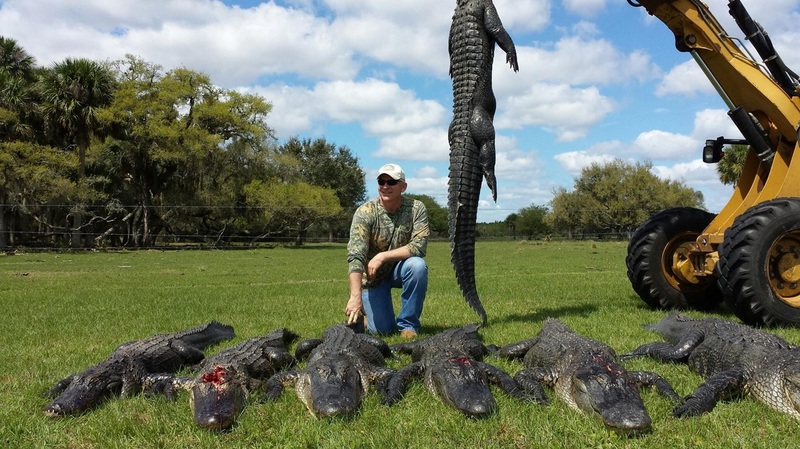 Whether you want to hunt a wild Florida Alligator at one of our exclusive private spots, or snag the perfect gator on public waterways, we're here to help make sure you have the adventure of a lifetime! Bring your own weapon to take down your gator or use one of ours. We know it isn't everyday that you look into hunting a big Florida gator, so don't hesitate to reach out if you have any questions. South Florida's best Gator Hunts.